In September 2017, Mirova acquired a platform dedicated to the conservation of the biodiversity and natural capital with the acquisition of a 51% equity ownership stake in Althelia Ecosphere (“Althelia“), an asset management company. The platform, with teams located in Paris, London and Lima, develops innovative investment solutions dedicated to the mitigation of and the adaptation to climate change and the protection of landscapes, biodiversity, soils and maritime resources. The platform aims to support the scaling up of the “natural capital” asset class thanks to a strategic vision of its growth, robust investment processes and appropriate support functions. 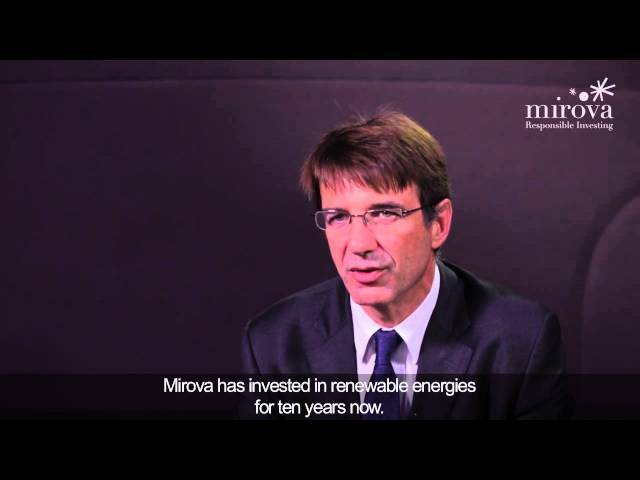 Thus, Mirova is positioned as a pioneer in financing the sustainable management of natural resources and biodiversity conservation. Althelia Climate Fund (ACF): a €101M initiative launched in 2014 in collaboration with Conservation International, supporting projects of agroforestry and sustainable management of ecosystems. Sustainable Ocean: under development in collaboration with Conservation International and Environmental Defense Fund, this initiative is dedicated to sustainable fisheries and aquaculture. Land Degradation Neutrality (LDN) project: under development, this initiative, launched in 2017 in collaboration with the United Nations Convention to Combat Desertification is dedicated to the restoration of degraded land and sustainable management of soils. It was praised during the One Planet Summit that was held in Paris on a French initiative in collaboration with the United Nations and the World Bank. Madagascar: under development, in collaboration with the Green Climate Fund, this project is dedicated to family farming and access to energy in Madagascar. The Funds described herein have not been authorized by any supervisory authority. The Funds' investment objective, strategy and main risks are described in their regulatory documents. Their fees, charges and performances are also described in these documents. Investments in the Funds are mainly subject to loss of capital risk. They are reserved for specific investors, as defined by their respective regulatory documentation.